One of the very first motifs created by Georg Jensen was an art deco influenced bunch of grapes, used as a handle on a silver tureen. This in turn was the influence behind the iconic Moonlight Grapes jewellery where the shape has been abstracted into something with strong classical references but a totally contemporary attitude. 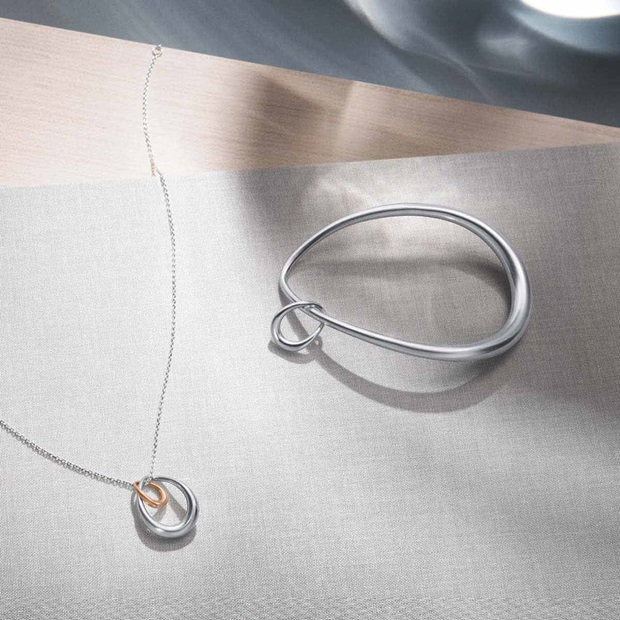 Similarly sculptural is Regitze Overgaard’s much loved Infinity collection where the mathematical symbol for infinity is reworked into bold and organic bracelets, necklaces and earrings that feel almost part of the wearer’s own body. The purity of sterling silver can also allow some jewellery designers the freedom to express a more emotional depth to their work. Jacqueline Rabun’s exquisite Offspring collection uses finely crafted organic shapes that intertwine in rings, bangles and pendants to symbolise our most precious relationships. 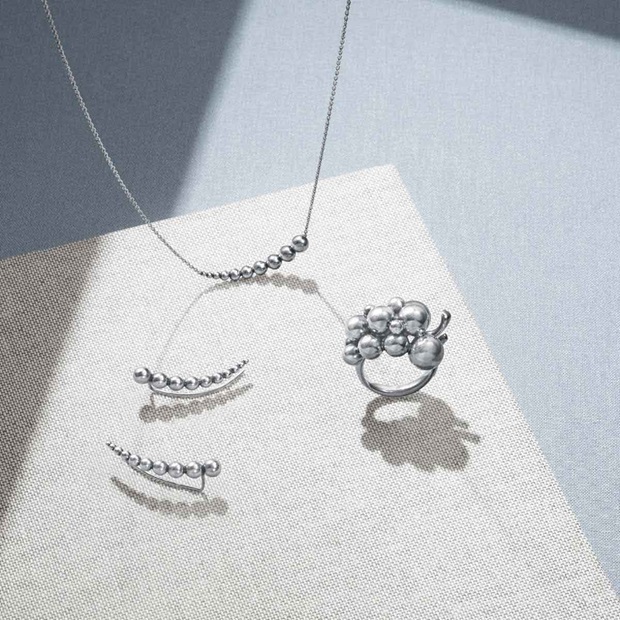 More recently Rabun’s sensual Mercy jewellery represents the twists and turns of fate in flowing natural forms that also celebrate the craftsmanship and beauty of Georg Jensen silver.